If you have a question about bagasse, PLA, our products or some of the terms we use throughout this website, please have a look through our Frequently Asked Questions to see if you can find an answer to your question there. If not, please feel free to contact us for more information. Bagasse is the fibrous matter that remains after sugarcane stalks are crushed to extract their juice. The most important use of bagasse for everyday consumers is as a source of pulp for paper. It can be used as an alternative to wood in the production of paper products. What is the difference between paper and Bagasse? The basic difference between Bagasse and paper is the materials in which they are made from. Tree Free bagasse is made from sugarcane fibres that are collected after the sugar is harvested from the cane. On the other hand, paper is made from pulping wood from trees. Bagasse is a more sustainable and eco-friendly option because of sugarcane’s nature. 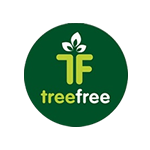 What is the difference between Tree Free Global products and other eco-products? 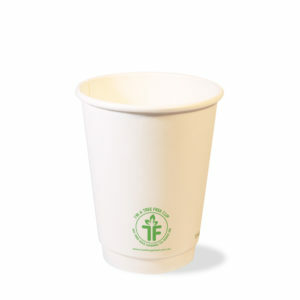 Tree Free Global uses bagasse as a base element to produce world leading coffee cups and lids. 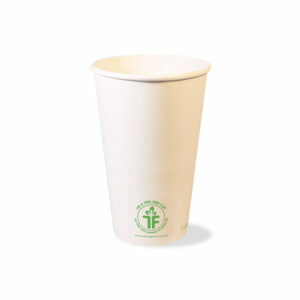 All Tree Free products are 100% compostable and made from only selected high-quality sugarcane. The products are sustainable and critically have significantly better performance than paper tree products. Additionally, these products reduce the amount of pollution exerted into the air, so they are also eco-friendlier than many other disposables. 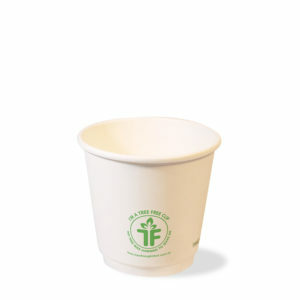 How long does Tree Free Bagasse cups take to fully biodegrade in the compost? Bagasse or sugarcane is fully compostable and breaks down best in commercial compost facilities. In commercial composting conditions, bagasse will compost in approximately 45-60 days. Composting may take longer in a home composting bin in, so we recommend disposing of it in a commercial compost facility. 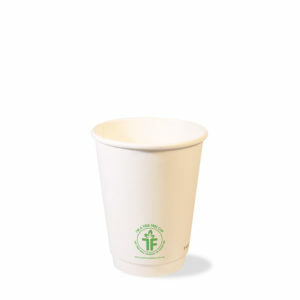 How long does it take for a paper cup to biodegrade? 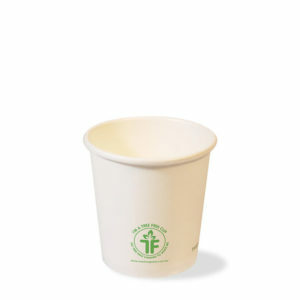 A paper cup takes more than 20 years to decompose in a sealed landfill and a few days in a lake or the ocean. 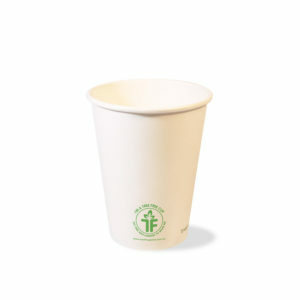 Paper cups, even polyethylene-coated ones, can be recycled. are endangered by human harvesting. 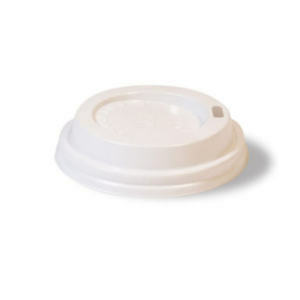 What are Tree Free lids made of? 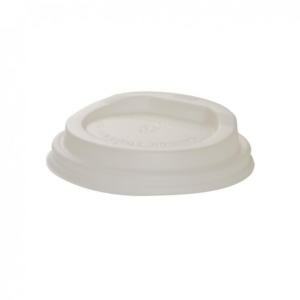 Bagasse lids are made from bagasse with a waterproof coat. 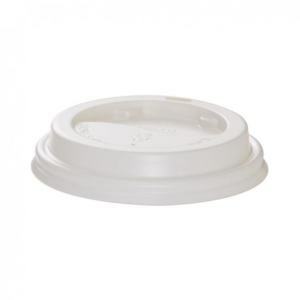 All lids are compostable and consistent with our company policy to offer the most ethically sustainable products for the Hospitality Industry. Biodegradable items refer to any material that breaks down and decomposes in the environment; compostable goods are organic matter that breaks down to become a pile of nutrient-rich soil. 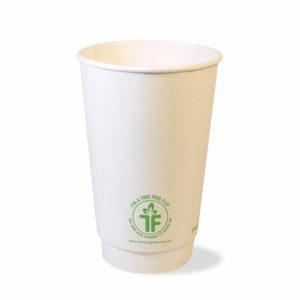 Where is Tree Free cups manufactured? At Tree Free we manufacture products that are being ethically produced and compostable. Our production facility in China reduces the typical environmental impact of operations. Moreover, we are always looking to create and innovate. We have developed an advanced technology system as well as a series of unique farming technologies in bagasse production. 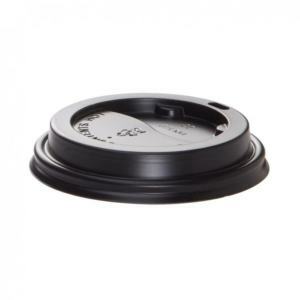 What is the difference between single wall and double wall cup? 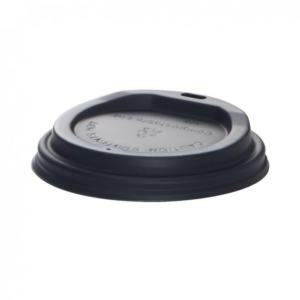 Single wall paper coffee cups are an inexpensive way to cater for hot or cold beverages. 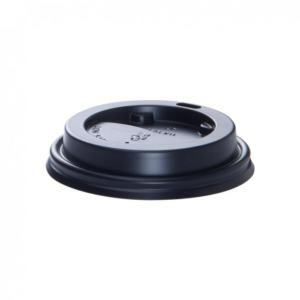 Double wall hot cups are made by manufacturing two paper walls with an insulating air pocket between them. Some people use a double wall cup to avoid the need for a sleeve and keeps drinks hotter longer. Can I order Branded cups? 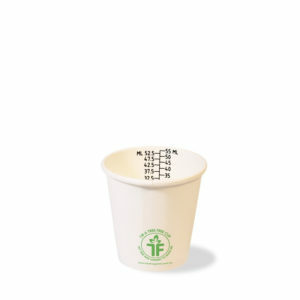 Yes, we can make any quantity of TF-Cups in any art look you desire. Simply provide us with the desired artwork and we will do the rest. Rules of scale will apply. 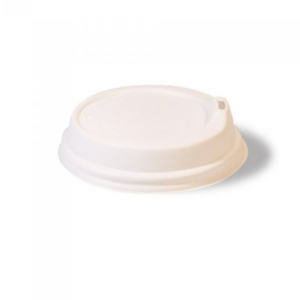 Is Bagasse suitable for hot beverage holding? 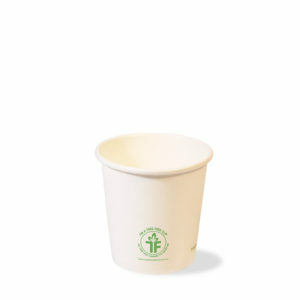 Our Tree Free cups and Bagasse based products will handle hot food and beverages up to 120 Degrees Centigrade. 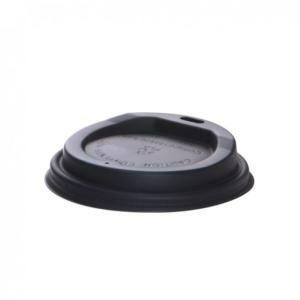 They are microwave and freezer safe, have a high resistance to grease and are water resistant. 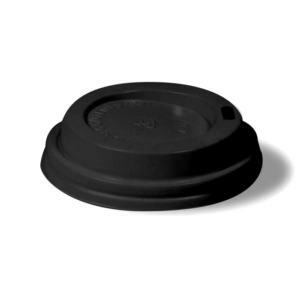 Unlike paper or plastic containers, our takeaways are oven-safe up to 220 Degrees Centigrade. Can Bagasse be used to make other compostable products? 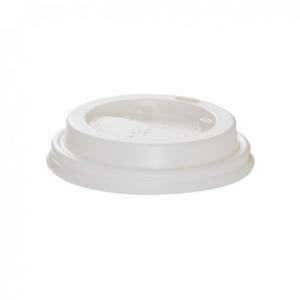 From plates and bowls to sleeves and cups bagasse can be used to make other compostable products. When bagasse products degrade, they provide natural ingredients back to environment since they are made from natural, organic and renewable materials. 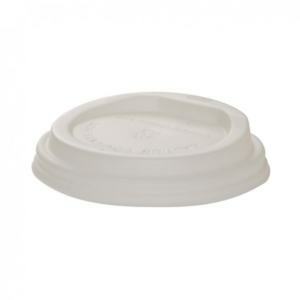 Bagasse products are perfect alternatives to tree based paper and plastic products.